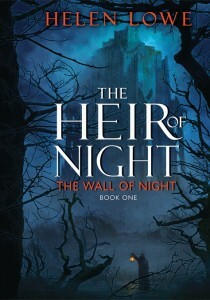 Yesterday, I was absolutely delighted to learn that the The Heir of Night, The Wall of Night Book One, has won the 2012 Gemmell Morningstar Award for Best Fantasy Newcomer. “Once upon a time… a girl was growing up who loved story. And quests. And heroes. And magic. Whenever she read a new story and loved it, she always wanted to write one “just like that”, one day, when she was grown-up. As you have doubtless worked out, the young woman was me and the novels of David Gemmell were about to assume a strong presence on my Fantasy book shelf, with both Legend and The King Beyond the Gate, and then the SIPSTRASSI novels, quickly sitting alongside Waylander. So many aspects of these novels “spoke” to my deep love of storytelling: the grand sweep of the stories and the sense of contending light and dark, as well as right or wrong being a choice we make—and the way the characters’ choices are so often around sacrifice and duty. But at the same time, friendship and love are always the heart of the story. And yes, I really did want to write stories “just like that” when I grew up. 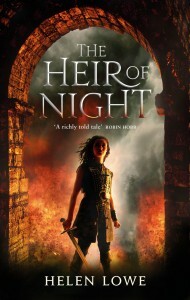 Whether or not I am yet sufficiently grown up remains debatable, but nonetheless it means a great deal to me that the first novel I wrote, The Heir of Night, has now won the Gemmell Morningstar Award. First and foremost, because of the legacy of David Gemmell and the sense the Award gives of following in his footsteps. Secondly, and this is also tremendous, because it means people ‘out there’, and not just one or two but numbers of people, must have not only read The Heir of Night but enjoyed it enough to vote for it – a fact that makes me feel both humble and deeply grateful. Last but not least, I am thrilled HEIR has won because it affirms a truth that I would like to believe is self evident, but upon which a body of internet opinion occasionally casts doubt: that is, that it is possible to be a woman writing epic-heroic fantasy and still have your work read, and taken seriously, by genre readers. I don’t think there can be any surer affirmation of that, than The Heir of Night winning the Gemmell Morningstar Award tonight. Firstly, thank you to editor Jenni Hill, as well as Orbiteers Anne Clarke, Joanna Kramer, Emily Rowland and Rose Tremlett, amongst many others who have been part of HEIR making its bow to the world. I am glad Jenni can be here with you tonight to share this moment, on my behalf, but also for the rest of ‘Team HEIR’ at Orbit. I would also like to acknowledge: Bella Pagan, who was the acquiring editor for the book and series at Orbit; and also the project’s lead editor, Kate Nintzel, at Harper Voyager in the US. My sincere thanks also go to my agent, Robin Rue at Writers House, not least for her belief in the book, and to Angharad Kowal for representing it so ably here in the UK. And never least—I would like to thank my partner, Andrew Robins, for his unflagging encouragement, enthusiasm and support. 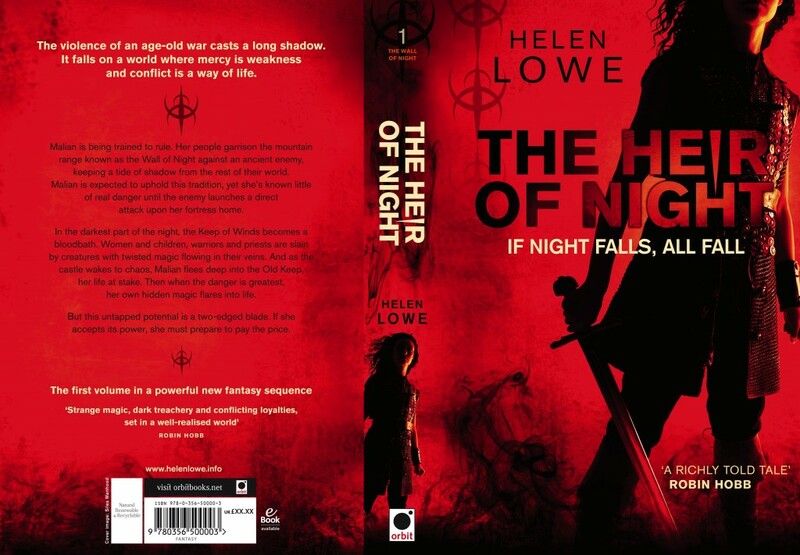 Finally, my heartfelt thanks to everyone who voted for The Heir of Night; as well as to Deborah Miller and her Gemmell Award team, for making the magic happen—and all of you for being part of the moment here tonight. Yes – please post a picture of the award on your website. I think a party to celebrate would be a wonderful idea, in reference to your previous post. Winning the Morningstar is a major achievement. Congratulations & love your books. Can’t wait unit the third book comes out. Congratulations! This is awesome, and a first! In terms of publishing I tend to think of our Kiwi cousins as being Antipodean (more PC than claiming you as Aussie, I’m sure!) and I’m delighted that your most worthy novel set this first for Australia and New Zealand. And way to go, winning against the odds as a woman writer as well! Heir of Night is a great book and is truly worthy of this accolade. Thank you very much, Nalini: I know you get to see a lot of books, so I definitely appreciate your commendation. That really is a terrific speech. Interesting, in talking about your own development, but also about the genre’s development in terms of women characters. Congratulations, and the book is definitely on my ‘need to read screed’. Thank you, Megan; I really value your support. Congratulations Helen, you deserve it. The interest in poetry has bought me in touch with some very talented people and you have joined the ranks of the FAMOUS. You have been a tireless worker for the good of the poetry movement and it’s great that you have received international recognition for your writing. Congratulations!! I really enjoyed reading both Heir of Night and Gathering of the Lost. I’m eagerly awaiting the next book in the series. Great speech, Helen, and well done. You are an inspiration. Laura, Mary, Renee — thank you! Wonderful to have such big acknowledgement of your work and passion.